The BDD uses as much as 8,730 acre-feet of surface water annually from the Rio Grande. 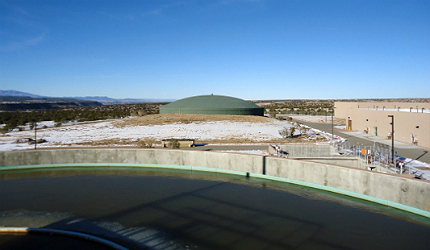 The BDD Project diverted Rio Grande water to the Buckman Regional Water Treatment Plant for the first time in January 2011. An aerial view of the Buckman Regional Water Treatment Plant that has a treatment capacity of 15m gallons per day. The diverted water from Rio Grande is pumped 1,100ft uphill to the new Buckman Regional Water Treatment Plant (BRWTP), which uses advanced technologies including membrane filtration, ozonation and granular activated carbon contactors. The treated water is delivered to the public water systems in the city of Santa Fe and Santa Fe County. Photovoltaic panels have been installed in an eight-acre field to provide solar power to the Buckman Regional Water Treatment Plant. Another field of solar panels will be installed in 2013 for the booster station near the river. The Buckman Direct Diversion (BDD) Project is co-owned by the city of Santa Fe and Santa Fe County in New Mexico, US. The project consists of integrated infrastructure that is used to divert as much as 8,730 acre-feet (2,844 million gallon) of surface water annually from the Rio Grande river. It supplies as much as 15 million gallons of treated drinking water each day to the city of Santa Fe and Santa Fe County. Residential club in Santa Fe Las Campanas is also a limited partner of this project, using raw water for irrigation at its facilities. The BDD Project was conceptualised in 2001. Construction began in September 2008 and was completed in December 2010. The project has been operational since January 2011. The water supply project cost an estimated $229m, which was funded through tax and bonds by the city of Santa Fe and Santa Fe County and a limited cash funding of $12m by Las Campanas. Its construction generated a total of 500 jobs, including 130 permanent jobs. "It supplies as much as 15 million gallons of treated drinking water each day to the city of Santa Fe and Santa Fe County." The Santa Fe region obtains its drinking water through groundwater pumping and Santa Fe River reservoirs. However, these are not reliable sources during drought conditions. In addition, the reservoirs can only supply a maximum of 50% of the region’s drinking water needs in non-drought conditions. The limited supply of water from the Santa Fe River reservoirs is resulting in over pumping of groundwater, which damages the underground aquifer. The BDD Project is a sustainable source of drinking water that replaces groundwater sources while maintaining reliable water supplies in drought conditions. The BDD Project diverts and treats renewable surface water from the Rio Grande. The project has the capacity to supply up to 15 million gallons of treated drinking water a day, which is sufficient to meet the maximum daily drinking water demands of the region. The BDD Project consists of a diversion structure, a sediment removal facility, two raw water booster stations, 11 miles (17.7km) of underground raw water pipeline, and an additional pipeline to pump raw water to Las Campanas, as well as a water treatment plant, two treated water pump stations, eight million gallons of raw water storage, and four million gallons of finished water storage at the treatment facility. The diversion structure is located near the former Buckman town site in the northwestern region of Santa Fe. It is situated on the east bank of the Rio Grande, about three miles (4.8km) downstream of Otowi Bridge. The sediment removal facility removes sand from the diverted water and sends it back to the river. The water is then pumped to the second booster station through the underground pipeline. The raw water pumps send the water 1,100ft uphill to the new Buckman Regional Water Treatment Plant (BRWTP) near the Municipal Recreational Complex. The BRWTP treats the water and delivers it to the public systems in Santa Fe and Santa Fe County through the finished water pipeline with the use of two pumping stations. The diverted water goes through a nine-step water treatment process. The 15 million gallon-a-day water treatment plant uses advanced technologies, including membrane filtration, ozonation, and granular activated carbon contactors. "The BDD has an early notification plan in place to shut off the diversion when such pollution is suspected." 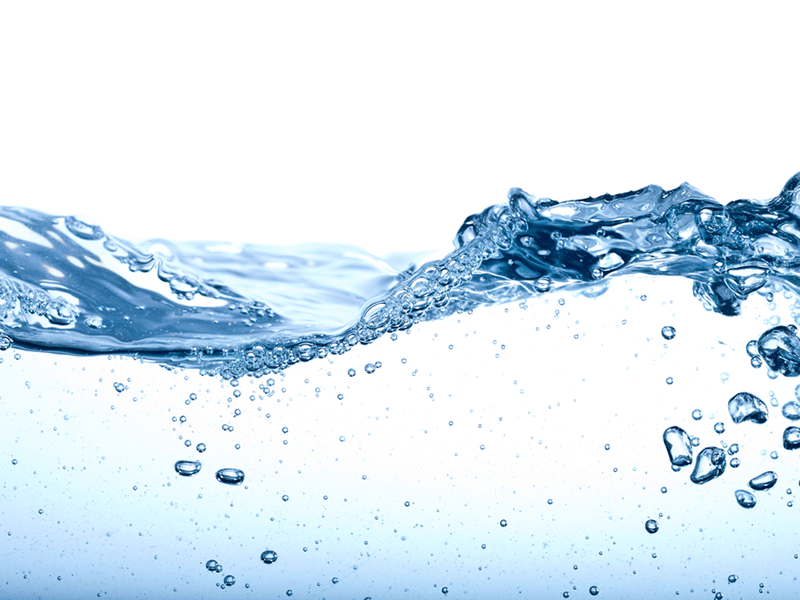 The water that has undergone pre-sedimentation is treated with ozone. It is then coagulated by adding ferric chloride to remove particles and organic materials. The coagulated water is flocculated to combine the particles into floc, which is easier to settle. The water then undergoes membrane filtration to remove the small suspended solids and biological elements, including Giardia, Cryptosproidium, bacteria, and protozoa. The membrane-filtered water is subsequently oxidised with ozone and forced through the granular activated carbon (GAC) contacting tanks. The water gets polished as the GAC adsorbs the oxidised organic materials and other compounds. Finally chlorine is added to the treated water to ensure disinfection of water during distribution. As per the standards defined by the Los Alamos National Laboratory (LANL), the Rio Grande water is free of radiological contaminants unless there is a storm causing floods along the river. The BDD has an early notification plan in place to shut off the diversion when such pollution is suspected. A 1MW solar plant with photovoltaic (PV) panels installed across eight acres has been constructed to supply electricity to the water treatment plant. A second 1.5MW solar plant generates electricity for booster station 2A. It was opened in June 2014. The New Mexico Finance Authority provided $4.8m as capital investment for installing the solar panels through the Drinking Water State Revolving Loan Fund. A total of 4,608 high-efficiency solar panels are installed on the 1.5MW plant, which is situated on five acres of land near the 2A Booster Station facility, and is owned and operated by BDD. With the new power systems, around one-third of BDD’s electricity consumption will be met through solarpower. The facility will also reduce BDD’s annual power bill by up to $206,000 a year while ensuring the operator to achieve total potential annual energy savings of up to $400,000. Consulting, engineering, and construction firm CDM Smith was selected as the owners’ consultant to develop the implementation plan for the BDD. The design and build contract was awarded to CH2M HILL and its joint venture (JV) partner Western Summit Constructors. American Capital Energy is the builder, owner, and operator of the 1MW solarpower facility for the water treatment plant of the BDD Project. The South-to-North Water Diversion Project in China is the largest of its kind ever undertaken.